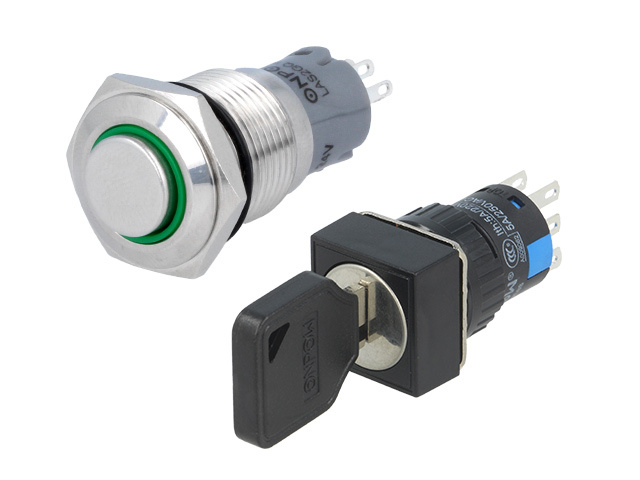 Our offer of ONPOW switches has been expanded with such products as: tamper proof switches, rotary switches, and key switches. The tamper proof switch line contains models with 3 IP ratings: IP40, IP65, and IP67. They also differ in mount hole diameter - from Ø12mm to Ø30mm. ONPOW rotary switches differ in the number of stable positions, operation, and button colour. You can choose among 2 diameters of the mount hole. New ONPOW key switches vary in number of pins and they are meant for 3 alternative mount hole diameters. One can also choose the base material of the key switch. It can be made either of plastic, or stainless steel. We encourage you to take a look at new ONPOW switches available at TME.